Reacheffect Mobile, Native, Popunder, Popup, Banner, Push advertising network details. 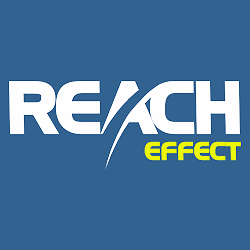 ReachEffect is a world leader in web and mobile advertising founded by a team of advertising experts which focuses on entertainment services. an advertiser - who can use distribution channels and have access to premium inventory. With 24/7 Customer Support service, the ReachEffect team’s main concern is the quality of their services and providing a solution regardless the encountered issue. Moreover, you have the opportunity to benefit from non-stop bonuses at every deposit. If you have any other questions before signing up with ReachEffect, don’t hesitate to contact the ReachEffect team which will provide a detailed answer to your questions as soon as possible. Best traffic ever, Best 24/7 support group. Best network I ever worked with. Great team, immediate ROI ! Really like to work with ALL THE TEAM. Very professional and good traffic.The interface is very simple to use and the conversions are very good. Very goog job guys !!! It took some time but we are very pleased with the results we are getting from this network, they are really available 24/7 and always there to help reaching our goals.hope to increase our activity with you in the year to comeExcellent job guys ! Very good network.I love their bonuses.Very prompt answer to any inquires.I had the best results with their team and HQ traffic.Best 24/7 support ever. Best traffic ever, Best 24/7 support group. Best network I ever worked with. Great team, immediate ROI !